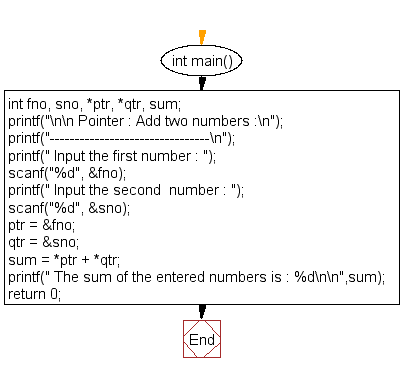 Write a program in C to add two numbers using pointers. 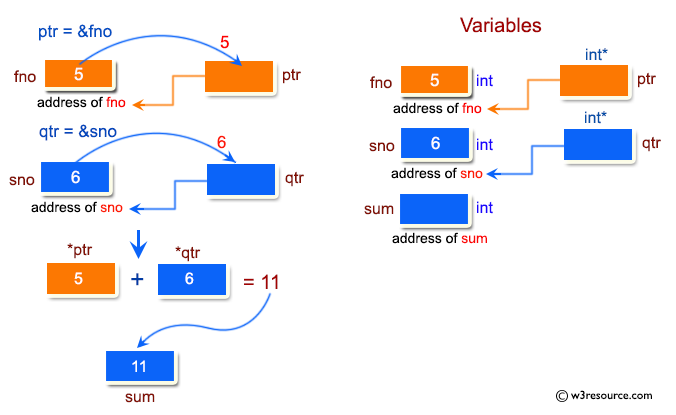 Previous: Write a program in C to demonstrate the use of &(address of) and *(value at address) operator. Next: Write a program in C to add numbers using call by reference.